A Day In The Life...: I'm hooked! I took a knitting class a few weeks ago and I'm totally hooked (no pun intended). I guess they aren't hook's anyway... they're needles... whatever! 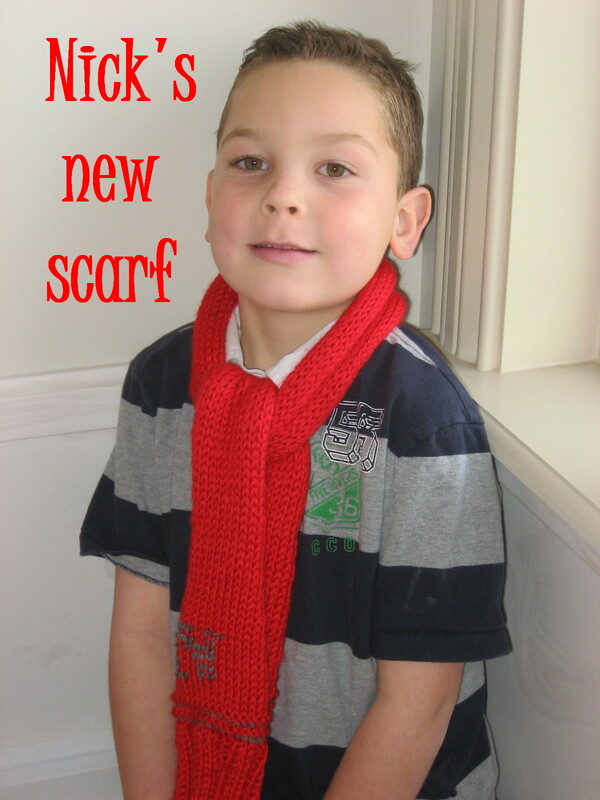 The minute I started making a scarf Nick was begging for me to make him one. So he choose the color and was very specific about the N being on it. I probably should have held out and surprised him at christmas with it, but you know me and surprises... it kills me! This was the only half decent picture... "half" being the operative word here. But you get that he's A VERY HAPPY BOY! In fact I think you have mad photography skills! One of my favorite places in my house for the light is my bathtub! wow... thanks for the boost Julie.